Potrai avvicinarti ai pesci in totale comodità e sicurezza, senza che questi siano infastiditi dal suono del tuo propulsore subacqueo Sea Doo Seascooter. SEA DOO SEASCOOTER RS1, NON ESISTE SEA DOO SEASCOOTER PIÙ PERFORMANTE. Complete New Bearing Housing Assembly. 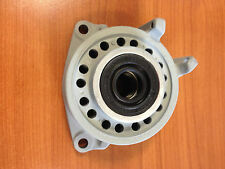 Includes housing with bearings and seal already installed. ufficio 075-5292205. 2007 Yamaha Super Jet 701. 2006 Yamaha Super Jet 701. 2005 Yamaha XLT 1200. 2005 Yamaha Super Jet 701. Lightweight backing plates. · Blades can be positioned in many locations for rider preference and race conditions. Polaris 4060119. ufficio 075-5292205. 800 SX-R SXR all 650 SX. SPORTSTER 00-06. XP DI 951cc 03-04. XP 951cc 98-02. RX X 951cc 2001. RX DI 951cc 00-03. Silver billet aluminum hood hook set for the Kawasaki SX-R. Fits both the 800SXR 2-stroke and the new 2017 1500SXR SX-R 4 stroke. Sold as a set. The front sponsons showed in the pic is suggested for SXR, Hydrospace S4 and FZ950 ZAPATA for SuperJet we suggest the race model that is a little bit bigger with a concave shape. Our front sponsons aremade in compressed polyuretane, light and strong. Il prezzo è per una valvola. Kawasaki 800 SX-R Piston as showed 0,50 mm Bore 2003 - 2011 82,50 mm. 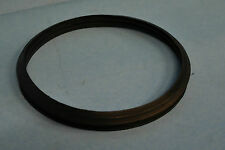 2x ring snap 92033-3721. 1 piston pin 13002-3776. 408035 100116 HSR00_05_01_144. nuova catena di distribuzione per motore WEBER S4 Hydrospace. Hydrospace S4 cam chain timing. Es handelt sich um einen 1-teiligen Ladeluftschlauch aus Silikon. Zur Verstärkung hat der Schlauch 4 Gewebeeinlagen. Dadurch wird der Schlauch ist extrem formstabil und belastbar und dient durch seine Passgenauigkeit als 1:1 Austausch für den originalen Schlauch. Nuova guarnizione non originale per moto d'acqua aquascooter jetski jet-ski jet ski Kawasaki 800 SXR SX-R 800SXR. PROX Kawasaki 800 SX-R Piston as showed 0,25 mm Bore 2003 - 2011 82,25mm. 1 piston pin. 1996-2019 Super Jet (62T engine). nuova guarnizioni non originale per moto d'acqua aquascooter jetski jet-ski jet ski YAMAHA SuperJet SJ Super Jet 701. Fits Yamaha ufficio 075-5292205. 1996 Blaster 700. New handlepole spring for Kawasaki SX-R 800 SXR and earlier models. Nuova guarnizione pompa Kawasaki 800 SXR, 750 SX SXi SXi PRO. 750 SX XIR 750 SXI SXi PRO 800 SX-R. 1995 Kawasaki 750 Sxi Trim Seal. 1996 Kawasaki 750 Sxi Trim Seal. 1997 Kawasaki 750 SXi CANADA ONLY Trim Seal. Available in black anodized versions. ufficio 075-5292205. 1993 Yamaha WaveRunner Superjet SJ650. 1992 Yamaha WaveRunner Superjet SJ650. 1991 Yamaha WaveRunner Superjet SJ650. 1990 Yamaha WaveRunner Superjet SJ650. 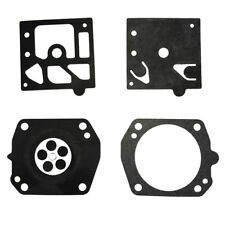 WSM Jet Pump Repair Kit 003-630. kit non originale per revisione pompa YAMAHA SuperJet 650 700 701 760 SJ. 6010D096 kit pistoni WOSSNER 82,96 mm Kawasaki 800SXR 0,96 bore 800 SX-R , disponiamo anche di altre maggiorazioni e marche originali, WISECO, WSM, PROX e originali. 1 piston pin. A simple installation drain valve alternative for the OEM drain plugs in Kawasaki model Watercraft. 06-01-061 valvola di drenaggio acqua. Starter Relay Solenoid YAMAHA 68N-81940-00-00. nuovo starter relè non originale, codice comparativo YAMAHA 68N-81940-00-00. FITS: YAMAHA WATER SPORTS 2002-UP MODELS. 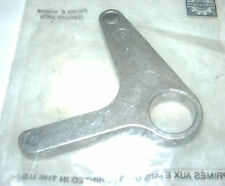 YAMAHA part number 68N819400000. Guarnizione cilindro non originale per jetski wave runner Yamaha Super Jet 650 700 701 XL700 Wave Rider Wave Blaster. WSM ref 003-405-01. Kawasaki Complete Bearing Housing Kits. ufficio 075-5292205. New after market starter moto for Kawasaki jet-ski starting motor. JB650 Jet Mate 650cc Engine 1989-1992 A1-A4. JH1100 1100 Zxi 1071cc Engine 2001-2003 A6-A8. JH1100 1100 Zxi 1071cc Engine 1996-2000 A1-A5. Hydro-Turf Ride Mats HT68BLK for PWC Jet-Ski Kawasaki SX-R800 SXR800 SXR 800 all years. Tapis Hydroturf pré-découpé Kawasaki 800 SX-R.
PRO24 Boyesen Pro Series Kawasaki 750 800 Carbon Fiber Reeds SX-R SXI Pro ZXI SS XI ST.
Fornito con la chiave per la regolazione delle viti L ed H.
Guarnizione originale testa Hydrospace S4 Weber HSR00_05_02_100. WEBER 101445 cylinder head gasket. Wave Hydrospace coupler with rubber damper stronger than the original, a must for engine with 140 HP and more. billet alluminum. ufficio 075-5292205. Stacco di massa rosso per moto d'acqua aquascooter jet-jski YAMAHA, KAWASAKI, HYDROSPACE floating lanyard red. 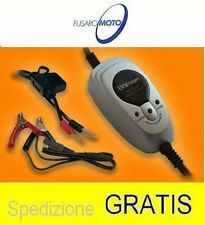 KAWASAKI collare 92143-3758 per albero motore per moto d'acqua aquascooter PWX JetSki. 1993 Kawasaki Super Sport XI PTO Collar 1994 Kawasaki Super Sport XI PTO Collar. Kawasaki 750 800 cc PTO Collar.